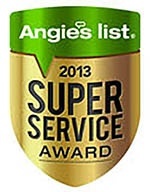 Solar Art has earned the service industry’s coveted Angie’s List Super Service Award, reflecting an exemplary year of service provided to members of the consumer review service in 2013. Description Of Work: Installed security film on all windows. Member Comments: Very professional service – prompt, returned calls and emails, easy to schedule. Very thorough. I had security film installed on al the windows in my home. Looks excellent — actually, you cant see it at all. George is knowledgeable and trustworthy. There was no “sales pitch”, just honest information. I would definitely recommend them to anyone. Description Of Work: Nine large windows were coated with Huper film. There was a snafu, but they dealt with it well. One of the windows was on a bathroom door facing an outdoor patio. The glass is frosted on the inside surface (the one that the film was installed on) for privacy. Oddly, installing the film clarified the glass, such that it no longer provided privacy for someone in the bathroom. I had asked before the installation if it would be OK, and they responded that it would be fine. Afterwards, they told me that they had never seen anything like this happen in prior installations. In addition to the glass become more “see-through”, there was a second problem in that it appeared that the glue between the film and glass was forming a precipitate. Anyhow, SolarArt came out promptly and removed the film. They installed a film on the outside surface of the glass (which is a normal polished glass surface) and this did not cause any of the aforementioned problems. They did not charge for this. Member Comments: They were very quick and responsive in dealing with this unexpected problem. Description Of Work: Tinted living room windows. Member Comments: Arrived early for installation. Installers were very professional. We are very happy with the results. Description Of Work: Living room, TV room, and Skylight tinted. Member Comments: Michele is so professional and was my main point of contact. If I had any question or concern, she was quick and courteous to answer them. She scheduled me for an estimate and soon after I scheduled to have the work done. I’m not sure why it took me so long to get this done and now I have the peace of mind that my dog who loves to sunbathe is safe from skin cancer, and my furnishings will be safe from fading and the heat will not be a factor. I would highly recommend Solar Art to anyone who needs to have their home tinted. Member Comments: I called the Laguna Niguel office and was sent samples of tint to look at by Dawn. I called a week later to have someone come out and give me their professional opinion on what I wanted done and the cost. Gregg McKay (commerical sales manager) came to my home and we discussed the project. I than called the next day to arrange the install. There was a set back and a bump with the installation but Dawn and the installers were very professional and it was completed. The 2 gentleman installers were awesome (sorry I did not get their names) but, they gave me the time frame on how long it would take to complete, they were very professional and cleaned up so great, it looked like I never had a contractor in the house. Overall the experience with Solar Art from start to finish was professional and a very positive experience. I would very much highly recommend them, you won’t be sorry. Description Of Work: Tinted all our windows in front of our house. Removed our old tint too. Member Comments: Solar Art is awesome! Have used them twice in the last 2 months. They removed our 20 year old tint and put up much more heat controling, energy efficient tint on all our front windowns upstairs and down. Has cooled down our house tremendously which saves on using the air conditioning too. They were prompt, so easy to work with. A great price! Neat and fast. Always able to get a hold of. Truly Knowlegable about their product and their business!!! We highly recommend Solar Art!!! Description Of Work: Came to put security film on single pane, non-tempered windows for safety. 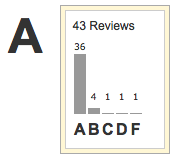 Member Comments: Excellent. Pedro was here on time and was very friendly and professional. Description Of Work: Installed suntek window film on 7 large ( 9′ by 5′ ) windows. Member Comments: Solar Art did a great Job. Paul the salesman that came out was knowledgeable and helped us choose the right tint for the windows. The install guys did a great job, very professional. would use them again !